Credit: Gerhard Meister (NASA/GSFC). Download this image (PNG, 204 KB). [06-July-16] The internal design of the PACE Ocean Color Instrument (OCI). The instrument is designed to include two hyperspectral and six SWIR channels. 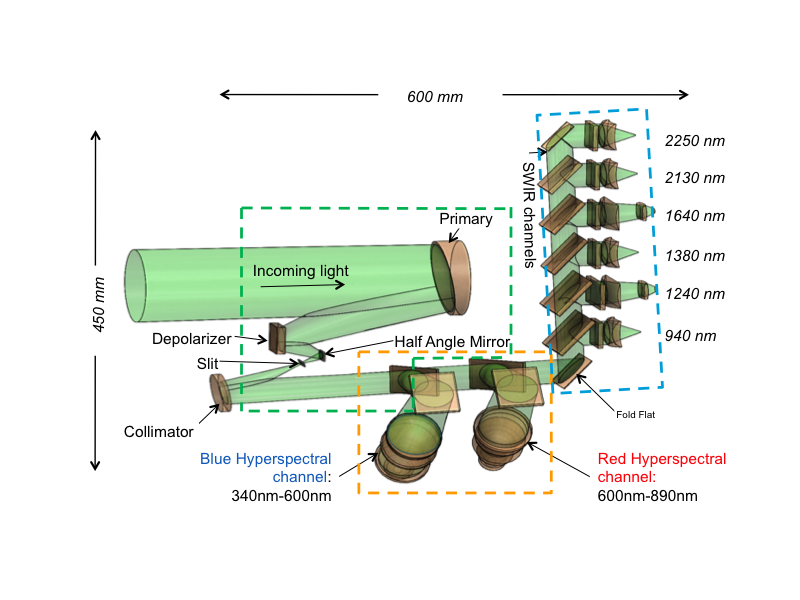 In the hyperspectral channels, the light is split into blue and red channels by half angle mirrors. The blue hyperspectral channel capturing between 340-600 nm wavelengths and the red capturing 600-890 nm.